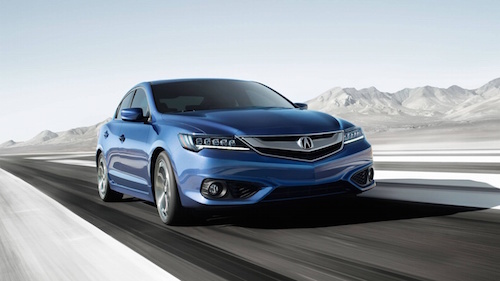 Are you looking for an Acura dealership near Atlanta, GA? The Ed Voyles Acura dealership is located about 32 miles North of Atlanta via I-85 and offers a complete lineup of new Acura models. Come test drive a new Acura ILX, MDX, RDX, RLX or Acura TLX Luxury Car and learn about Acura dealer specials and factory incentives. If you are on a tight budget and need a high quality, low mileage vehicle, our inventory of certified pre-owned Acura cars includes a variety of models to choose from. We also have an extensive selection of used cars and used trucks available at our Acura dealership close to Atlanta, Georgia. The Ed Voyles Acura Financing & Leasing center can help you buy or lease a new Acura, certified Acura or buy a Used Car, Used SUV or Used Truck. Atlanta area Acura owners will also find a complete Auto Service, repair and Acura Parts center at our dealership. We offer frequent Acura service specials and coupons to help you save money on oil changes, tune-ups, wheel alignment, brake service and much more. Our Acura dealership near Atlanta, GA is a one stop shop for new Acura sales, financing, used car sales, specials, service and parts. Stop by and say hello, we’ll take good care of you and your vehicle.